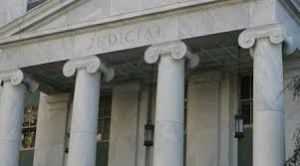 As I work in my office, I often have livestreaming a trial or appellate arguments occurring in the Georgia Court of Appeals or the Georgia Supreme Court. I have previously blogged about the meaning of open courts and the value in being able to watch our judicial branch at work. It is your government in action and every citizen has the right to watch it and should be able to watch it. I firmly believe in it. Today I am glad to see others get on my bandwagon. CNN published an article today online that essentially agrees with my position. Given the current state of affairs with the attempted ban on Muslims by Executive Order and given the President’s attempt to “blame” the Courts for simply upholding the United States Constitution, there has never been a more important time in our Country’s history than for the people to have total access to the courts through livestreaming or video. Interestingly, oral arguments Washington v. Trump were broadcast on youtube.com although there was no video portion to watch, just audio. When our own President is attacking the independence of the judiciary, livestreaming oral arguments would be the very proof needed to show he simply does not know what he is talking about. Livestreaming oral arguments dealing with unconstitutional executive orders would dispel any absurd suggestion that courts or judges are political and are making decisions based on political pressures. It is ridiculous that our President would even suggest such a thing, when it is absolutely not true, but for any American who might for a minute believe it, they could simply watch for themselves and realize that our judges are making their decisions based on the facts, the law and the Constitution. Increased transparency promotes public participation, open government, access to information, efficiency, higher quality decision- making, and accountability. Further, transparency reduces the opportunity for corruption.